Discussion in 'Bob's Track Builder' started by Ryan Callan, Feb 4, 2011. After some requests, this thread is to house and discuss unfinished projects that others would like to pass on and open up for others to complete or view their methodology. Do not upload uncompleted projects to RaceDepartment. Use a fileshare site, preferably MegaUpload, MediaFire or FileFront. When posting, link to the files and also to the WIP thread if applicable. If you do not have an active WIP thread, please create one. State a rough percentage completion according to your opinion. Make sure to include any important details, such as required XPacks etc. Give as much detail, succintly, as possible, to help the following person to pick up your project easily, such as the direction you felt your track was taking. Projects may not go in the direction imagined, once finalised, however this is the risk you take when posting uncompleted ideas. This is not a thread to discuss in detail methodology and problems, please use the WIP forum threads for this. Most importantly, if you do end up releasing a track after completing, make sure you include all credits of the persons involved. Respect others work! Ive learnt so much in the last week, i simply cant continue with this. its oh i dunno, 70% ..
generally sparse track.. the only areas that are in some way complete is the public road (highway) section, and tunnels. its 17k, please forgive the sunday driving. waiting for simtrackpedia to come back online so i can grab rsouls Project backup batch file tool. Can you upload the whole project folder? I'd like to have a look at putting it in rFactor. some of you might remember my BETA release of parramatta park. it went viral for a little while when i first let the BETA go, and got downloaded a couple of thousand times off my server! LOL. imho, this track had/has the potential to be the next 'Longford', both in terms of depth of texture, and immersion and play environment. the track is difficult and dangerous (yay for 1950's racing!) and a true pleasure to push a car around. I really just dont have the time to spend on this to get it finished! Id really really love to, but it just doesnt seem to get off the ground again. Based on feedback from some of the threads i read with people playing the BETA release, it really does deserve a good finish, and a formal release, so PLEASE HELP ME!! I can certainly give a hand in getting this finished, i have heaps of onsite images to help with any further textures, theres 2 building models that need to go in, and a general tidy up. or you can really get carried away with it! thats up to the inspirartion of those who pick up the torch! It really would be a shame not to see this get a final release, so here she is! Eds Parramatta Park, 1952 GP. with wet and dry circuits included. The 2nd and 3rd links require a password. Now I don't want to get your hopes up so I'll say right now that I'm in no position to finish other people's tracks (not yet anyway), but I often look at other tracks to see how they were made. 3Dsimed is good but a BTB project is like seeing source code. fixed, sorry, i had linked the ftp addresses. ive now changed them to http adddresses. right click, save as. This thread is not for disussions please. Keep it on topic - use the WIP threads as instructed. If anybody has a (fictional) track that at least the terrain and road has been finished on, but do not feel they have the time or desire to finish it, feel free to pass it along to me. 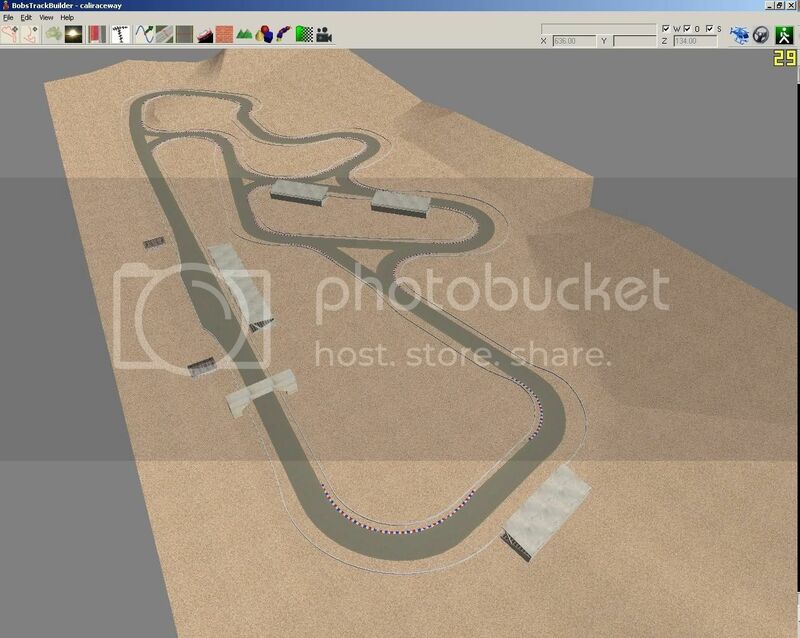 However, do not pass me the BTB project as I do not use BTB, provide it in rFactor GMT files, as I use 3DSimEd mainly. Hi Ryan. Any particular reason why it must be fictional? You can have this if you like Ryan, http://3rdgearmotorsports.com/wordpress/?file_id=12 It's a replica of California Raceway from Project Torque, completely scratch built. Feel free to do as you wish. I have a few more of these, England and Circuit, I only have them in BTB format but my license expired and I can't be bugged renewing it. Cali is the only one I have in gmt. I did have the others in gmt at one stage but during a HDD clean out I deleted them. If your interested I will find a way to export them. Cheers mianiak, will check it out, of the other two, Circuit seems to be the most appealing to me . I could have a friend export it to GMT for me if you still have the BTB files. Pangaea, can you upload the BTB folder for Zephyria Tholus please? I want to put this in rFactor. I'm putting the canyon project in here, if someones interested of fiddling with it.. Maybe a bridge so there can be "national" layout.. Anyway it has a good example on how to do cliffaces easily using track and copy track tools. I really really like the twisty section, pretty have to slide thru corners with that drop on the right side not far from mind.. So unless someone likes to add more details, AIW etc i'll release this someday and it will then be very simple.. 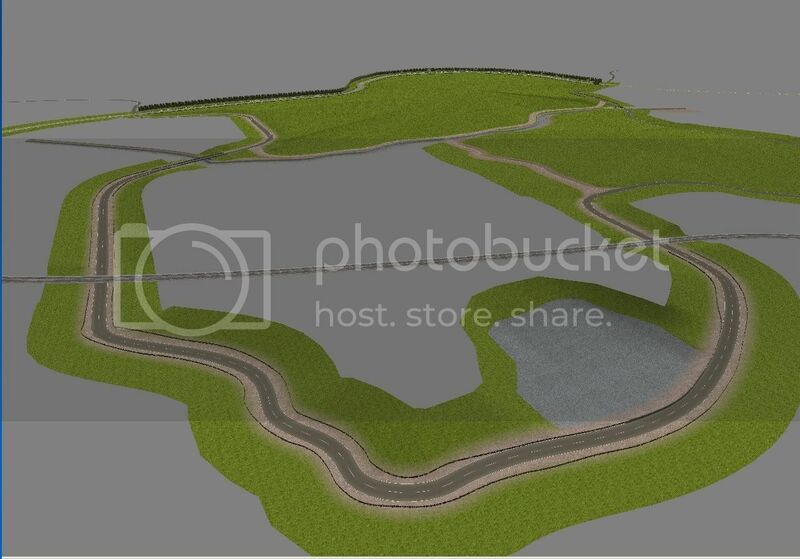 In this project there are only two pieces of terrain, the base level and pits. Everything else is made with the track tool and heavy use of "Copy Track", 5 to be exact.. Specially the cliff-faces were are breeze to do this way, using the Randomize function in crossection editor and one big texture.(2048x2048). Tunnels were extremely easy to do with little manual editing of crossections to get exact coordinates. Using track copy, all points are perfectly aligned to the drivable track. And since there is limited possibilities to position terrain textures, the track tool is my favourite tool at the moment. Took a little planning but results are satisfying. I can give you the project if you like, i learned a lot from this..
EDIT: I uploaded my tool pack in Download section, which has become a must in every project. Kennet, I DLed your file, very interesting stuff, sir. I like the technique you've used for the cliff "track", where it's made from one track, as opposed to it being formed by left and right track copies to make the left and right terrains. I also use track copies alot, I find it very useful and quick to knock up a decent(ish) looking circuit (especially as I am not able to go up a level to 3ds max). Great! EDIT: how is the FPS / performance of this technique for landscapes? 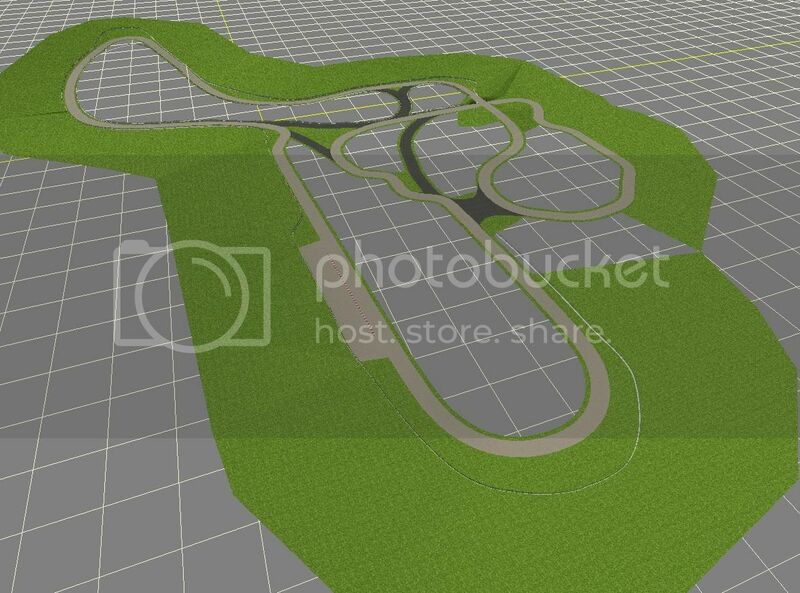 I haven't noticed any changes but the canyon track is very simple anyway so it could be masking te problem. All thou i don't believe that there is any change what so ever, the game doesn't think in terms of "track" or ""terrain", it's all just polygons. This canyon track is excellent, I've sorted out AIW along with some pit garages.